Investling is a small investment group that loves building value from good ideas. Radiopaedia.org is a free online radiology resource built and maintained by its users. 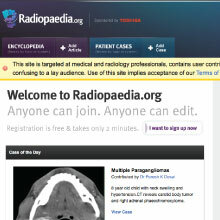 Radiology professionals upload, share & discuss cases around the world, with the site forming a valuable reference tool. We also produce iPhone applications to assist radiology students and professionals in study or refreshing their knowledge. 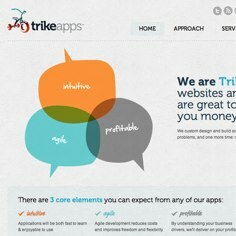 TrikeApps develops elegant programs & applications for difficult or complicated IT requirements. Programming with dynamic languages, our geeks work with agile development principles to create intuitive, maintainable, and profitable applications. We are partnered to Tricycle Product Design, who design and engineer products for a diverse range of companies. With Bellroy, we want to help people carry better. 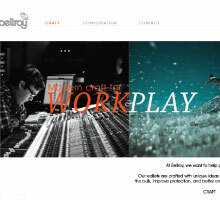 Beginning with wallets, Bellroy creates modern craft to help you transition seamlessly between work and play. Our wallets are crafted with unique ideas to help you reduce the bulk, improve the protection, and better enjoy the experience.